Bridging loans are one of the more expensive types of loan, and in most cases they are recommended only as a last resort. The rates of interest are much higher on bridging loans, but it may be the choice between paying the extra interest or letting that dream property slip away. Bridging loans can be used in a few various ways. A customer may have found their ideal house but have not yet sold their present home, and a bridging loan can be used to purchase the new home. Bridging loans can also be used when a property is being bought at an auction or when urgent repairs are needed to a house that is being sold. They can also be used in some property buy to let situations. Lenders will usually offer open or closed bridging loans. 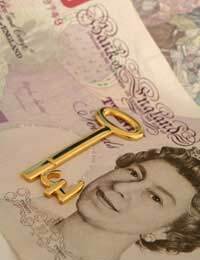 An open loan is for borrowers who have found a new home but have not yet sold their previous home. Closed loans are for customers who have already exchanged contracts but have not yet received the financing and are usually easier to obtain than open loans. This is due to the fact that lenders are aware that their money is at less of a risk as most property sales are successful and problem free after contracts have been exchanged. Due to the expensive rates associated with bridging loans they are usually used as a last resort. People who are confident that the sale of their property will be successful can use bridging loans if they are sure that the loan will only be a short term option. If it looks as if that dream home is going to slip away because the present house has not sold then it may be worth considering a bridging loan. However, an alternative may be to remortgage the unsold home to bring in extra capital, then place a deposit on the new home and rent out the previous home. Bridging loans are a specialised area and as such there are not as many providers as there are for personal or secured loans. Customers can shop around online to get the best quotes but the interest on bridging loans is significantly higher than other loans, and there will be time limitations for repayments. Lenders will apply arrangement fees to the bridging loan, and this is usually a percentage of the actual loan. Specialised bridging loan arrangers may offer higher interest rates and low arrangement fees, or vice versa. If you are a borrower who thinks you will only need the loan for a short space of time it may be worthwhile to arrange a loan with smaller arrangement fee and higher interest rates. If the loan is needed for a longer length of time, for example around a year, then lower interest rates would be more suitable. Bridging loan providers will need a lot of verifiable information before they will proceed with the loan. Apart from the applicant’s personal information they will also want mortgage details and a valuation of the property may also be needed. Bridging loans and the amount you can borrow can also be dependant on the equity available on the present home. Bridging loans can be processed quite quickly but there may also be a further additional fee to speed up this process. Bridging loans can be a very expensive way to obtain funding. However if the loan is only for a short space of time then it could be the answer to the stress and financial problems of purchasing your perfect house.